Brew Wings Food Truck and Catering servicing the Santa Clarita Valley was founded in 2013 by Stefano Enjem. As the craft brewery scene started to take shape, and expand at an enormous rate, Stefano decided it was his turn and opportunity to create something that was not available at the time, a food truck that is like a local pub. You just don’t see that every day, until now. This is something that has to be classified as one of a kind. This is a truck that you are avaible to get hand crafted beer, and also enjoy some very delicious crispy beer battered chicken tenders, loaded tater tots, waffles and some of Brew Wings creative items that will surely make your mouth water. Talk about a variety of tasty treats to select from, their menu has just about anything for anybody. Add their home-made buffalo sauce and you are in for a real treat. Their menu has been celebrated by the local communities that they visit daily. That is why they are always in demand. Their menu is very straight forward and very delicious to choose from. Their kickin chicken sandwich is a staple of their menu. This sandwich is stuffed with their blended cheeses, seasoned grilled chicken, bacon and fresh jalapeno. Topping it off with their buffalo sauce will get you wanting more on your next visit. Do not forget about the tater tots that are served with this entrée. Hand crafted beer is also their specialty as well. Going to a pub can be a lot of fun with your friends, family, and even co-workers. Going to a pub at times means you might be waiting a while for your drinks. At the Brew Wing truck, you will have a very minimal wait. Getting a hand-crafted beer in a very short amount of time will make sure it is crisp, cold and very delicious to the taste of your lips. With the ever-growing industry of food trucks, Brew Wings Food Truck and Catering servicing the Santa Clarita Valley is one you do not want to miss. You can view their schedule by visiting their website. 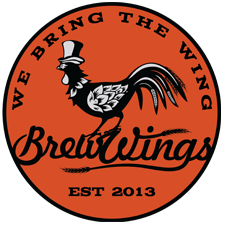 To learn more about Brew Wings Food Truck and Catering click here.